Rufus is tired of being yelled at by his football coach. Sure, he's the biggest guy in his class and he wants to be a better player, but he's doing the best he can. When his mom suggests he try ballet lessons to become less clumsy, Rufus decides to give it a try. Now the coach wants him to choose between football and ballet, and Biff gives him a hard time about wearing a tutu (which he doesn't). 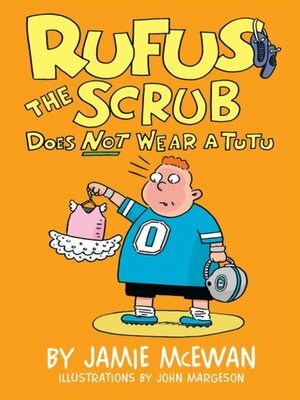 Even worse, the other Scrubs think Rufus is giving them a worse name (like that's possible). After all the teasing and trying, what's a Scrub to do?